including Teston Independent Society of Cricket Ball Makers. More than 100 years of trade union history came to a close in 2006, when the Teston Independent Society of Cricket Ball Makers finally upped stumps and headed for the pavilion. 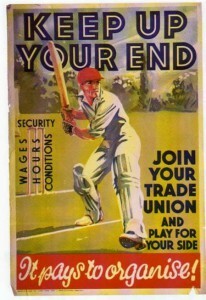 Trade union membership in this highly specialised field was never very great, and had largely been confined to one factory in Kent ; but by the time the union called it a day there were just eight members left – each of whom was required to hold one or other of the union’s official positions. One of the union’s earliest meeting places was the Mitre Hotel on Hadlow Road in Tonbridge, from which it moved to the Station Tavern on the High Street in 1902. Membership appears to have peaked in 1906 when the union was able to claim 216 members. By 1912, when the first surviving annual returns to the Registrar of Friendly Societies appear in the records, membership was down to 163 – all of them men. Although the union had spent £168 10s 7d (somewhat more than its income of £131 11s 8d) that year, it had a healthy £913 11s and 5d in the bank. The largest items of expenditure were the £65 11s 0d it gave in unemployment, travel and emigration pay to 14 members, and the £20 5s 11d it awarded to a further five who had “left the trade”. The union appears to have played its part in the wider trade union movement. The 1912 returns record that it was affiliated to Tonbridge Trades Council, the General Federation of Trade Unions and the Labour Party. It had also given grants to Birmingham Trades and Labour Council, the furniture workers and the Transport Workers Federation – presumably to support workers in dispute. As a small union, the ASCBM had no branches. It did, however, elect eight stewards whose job it was to collect contributions and pass them to the secretary once a month. • Horace Orrom snr of 10 Waterloo Place , Tonbridge as trustees. • C E Cockerell, 26 Preston Road – both of whom listed their occupation as “cricket ball maker”. 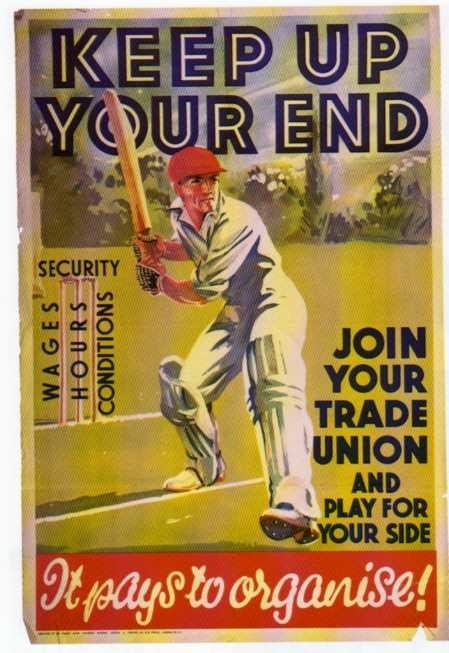 The advent of the first world war disrupted trade unions just as much as any other aspect of life at home, with the ASCBM’s annual return for that your noting that although there had been no change in officers during the year, the signatures of the treasurer and one trustee were “not available owing to the war; they being away”. The war caused other problems. As late as 1918, returns carried notes to the effect that the union had been unable to properly account for money paid to members involved in a strike during 1914 because so many were on active service. There appears also to have been a dispute with the former secretary, with claims that he had left the books “in a dreadful muddle” and was unhelpful in clarifying details of the union’s management. Perhaps it was this dispute which led to a break away by a group of members who went on to found the Teston Independent Society of Cricket Ball Makers in 1919. Whatever the cause, however, the original union went into decline. Some accounts suggest that it disappeared in the 1920s, and there are records of attempts by the TUC to facilitate mergers between unions working in different parts of the leather goods industry. In fact, it continued to exist until 5 January 1948, when it filed its final return to the Registrar of Friendly Societies. The Teston Independent Society of Cricket Ball Makers continued for a further half a century, although attempts to diversify and recruit workers making plastic sports goods and those involved in distributed sports equipment appear not to have been a lasting success. It filed its last annual return with the Certification Officer (which replaced the Registrar of Friendly Societies) at the end of 2005. Historical Directory of Trade Unions, vol 3, Arthur Marsh and Victoria Ryan (Gower, 1987). Annual returns of the Amalgamated Society of Cricket Ball Makers to the Registrar of Friendly Societies (FS27/126), The National Archives (external link). Annual returns of the Teston Independent Society of Cricket Ball Makers to the Certification Officer, 2005 (external link).